Have you seen what stores have started doing this year? 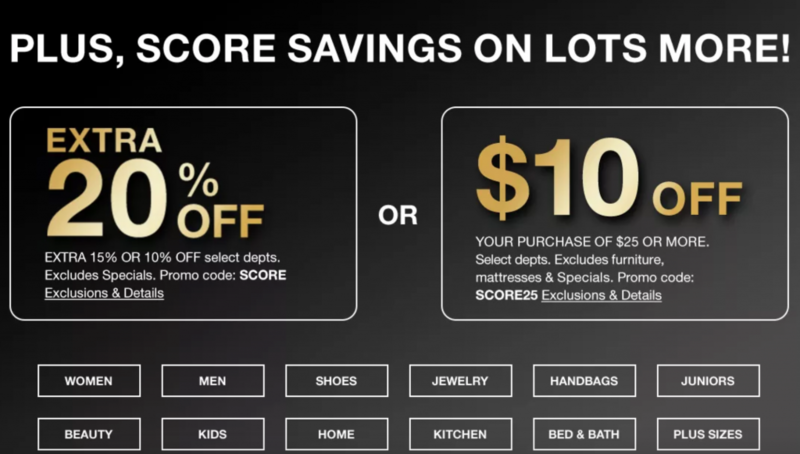 Retailers seem to be starting their Black Friday deals early and Macy’s is no exception. In fact, with the Macy’s Black Friday Preview Sale starting today, there are 2 ways to save on top of the already low sale prices. This sale is also interesting for another reason: the length of time it’s running. Not only are these deals happening in advance of Black Friday, the sale starts today (Thursday, November 15) and runs through Tuesday, November 20). This is important because immediately following this sale, we go right into Macy’s Black Friday Sale. Typically, we don’t know when the next sale will start at Macy’s, but this year, we know both when the sale will start AND what some of the best deals will be (come back tomorrow to discover those). Take these mules for example: Originally $49, they are on sale for $29.40. When you apply the SCORE25 code, you’ll be paying only $19.40! That’s about a 60% savings from the original price, and that’s just one option for how to apply the code. All that to say, if you can find the right item at the right price, this is the time to shop. Stay tuned because I’ll be updating Magic Style Shop with all the deals you’ll want to pay attention to over the coming week.